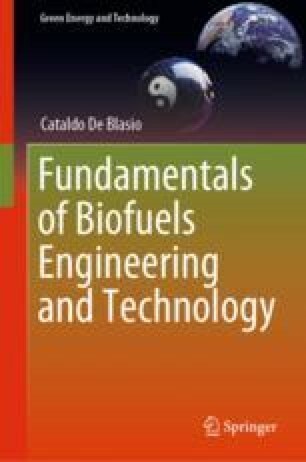 Biomass and biofuels can be of different types, and they can be utilized in different ways. For instance, we can think of producing energy crops and then use the produced biomass in a biomass-fired power plant, or we could gasify the biomass to produce syngas. Another way could be to feed biomass feedstock to microorganisms and let them produce biogas. In this process, the microorganisms can also reproduce and the remained biomass from the process could be utilized in further processes. While the utilization of microorganisms will be treated within the second part of this manuscript, in this chapter, after giving some preliminary notions and data on biomass production, CO2 capture and feasibility. The concept of light harvesting is introduced along with details on the quality of the necessary incoming radiation. The photosynthetic process is introduced with its mechanisms. The functions of the reaction centers, the generation of an electrochemical potential, and the required difference in concentrations for some of the molecules involved in this process are described. It appears clear the comparison between these phenomena and the functioning of the galvanic cells which will be explained later on for pedagogical purposes. So when we consider the Photosystem II and their reaction centers, they are producing oxygen and oxygen in combination with light is very often very toxic. What happens there is that you get an oxidative degradation of one protein unit and nature has developed a way to exchange these damaged proteins every 20 minutes. So every 20 minutes a repair has to be made and I do not think that we can mimic this process in a technical manner. Michel Hartmut, Nobel Prize in Chemistry 1988, talking about renewable energy in 2008. IEA. (2017). Emissions from fuel combustion highlights. International Energy Agency IEA. Retrieved from https://www.iea.org/publications/freepublications/publication/CO2EmissionsfromFuelCombustionHighlights2017.pdf. Owen, A. (2017). Plants release up to 30 per cent more CO2 than previously thought, study says. ABC News. Retrieved from http://www.abc.net.au/news/2017-11-18/plant-respiration-co2-findings-anu-canberra/9163858.